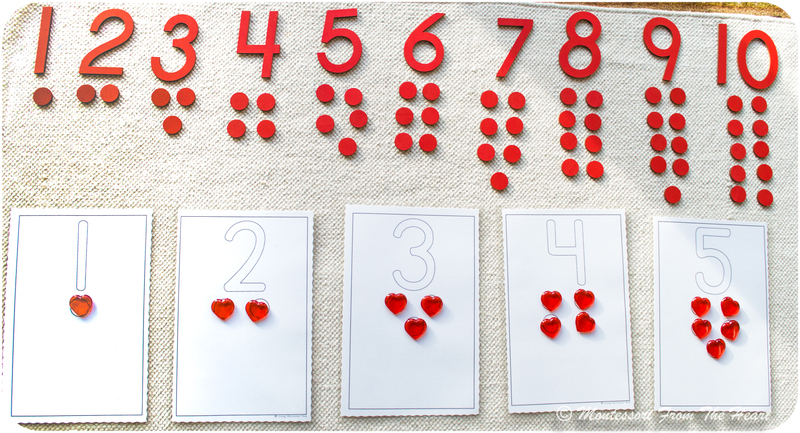 Montessori math curriculum is generally introduced in the following order: (1) Number Rods (start with and introduce at around two years of age), then (2) Sandpaper Numbers, (3) Spindle Box, (4) Numbers Memory Game, followed by Odd and Even activity (also called Cards and Counters) which teaches a child what odd and even number is. 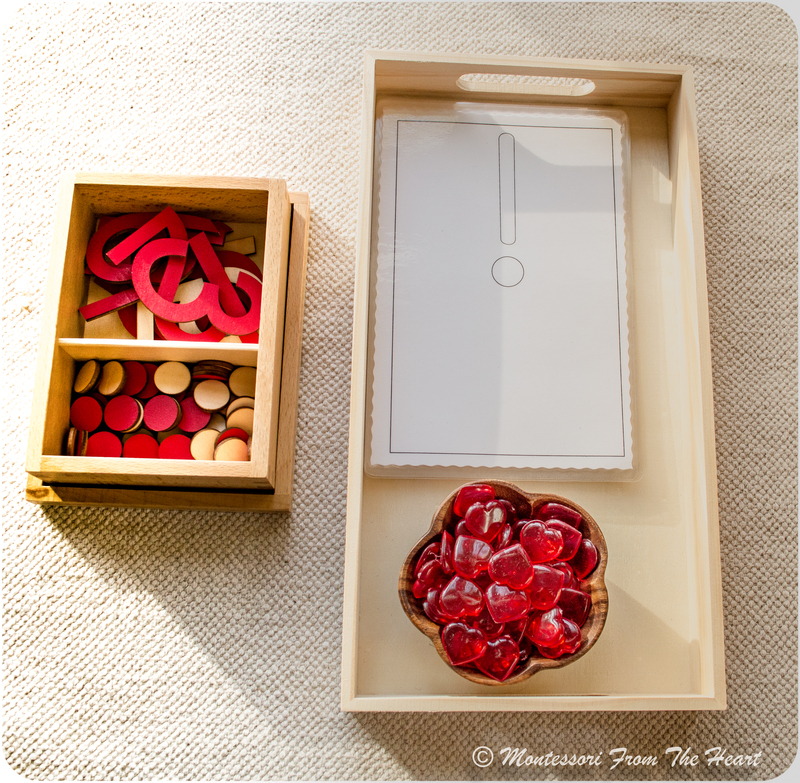 You can use traditional Montessori Numerals and Counters (like here) or you can make it yourself: you would need numbers 1-10, and 55 round counters (you can use marbles, wooden dots etc). We are using Valentines Inspired ❤️heart-counters, in addition to wooden ones. To make this lesson even more illustrative, I set counters in pairs as friends 👫 e.g. brother-sister (Adrian – Julia), Mommy-Pappy💑 (buy dolls here), or animal pairs (buy a deer family set here). Such presentation made it obvious for Adrian to see when a number has a counter without a pair/on its own: meaning that the number is odd. As opposed to when all counter-hearts have a complete set of pairs (two friends are holding hands👫 "ta-ta-ta") that number is even. We are using this doll-family made from natural organic recycled rubber wood. Buy a similar horse here, and a deer family set here. For more on Odd and Even, see here 🍁Fall-Inspired Odd and Even • Numbers & Counters. For more on Odd/Even, read here our Christmas Odd and Even lesson, when, just a month earlier, at 38 months, Adrian was still puzzled by this concept even with all the visual counters. For more Valentines Inspired activities, see here ❤️Valentine's Inspired Activities for Kids.